Joe Dressner, the revered wine importer and veritable poster child for the "natural wine" movement in the United States, passed away recently. His death brought a wash of sadness over the wine world, but also incited a flurry of pointed discussions centered around natural wine -- including what that designation really means, and whether natural wines actually taste better than "un-natural" or commercially produced wines. I'm an ardent proponent of natural wines, not because of the philosophical or environmental connotations that they carry, but because of what's in the bottle. It's as simple as that. Mr. Dressner was of the same persuasion. Gimmicks and shticks are good for marketing, but in the end the juice in the bottle speaks louder than any sort of larger validation. So what sets natural wines apart from their commercial ,or "un-natural," counterparts. What makes them taste better -- or, shall we say -- taste more interesting? Image used under a Creative Commons license by Kelowna09. For starters, natural wines are made without pesticides, herbicides, fungicides, chemical fertilizers, added sugars, artificial acids or commercial yeasts. Many natural wines are also bottled without shelf-life-prolonging sulfites and with very little or no oak at all. These are "hands-off" wines; wines that reveal their soul as directly as possible without being covered up by other stuff. These are what the wine geeks call terroir wines -- made with as little human, chemical or technological intervention as possible in order to let the land and the fruit speak for themselves. Brilliant! So let's establish some basic definitions. Here's a look at the differences between natural, organic and biodynamic wine. There is no formal certification body for natural wine and the term has no legal definition. Producers of natural wine say that the grapes used in natural winemaking should be grown either organically or biodynamically, and that they should be hand-harvested as opposed to machine-harvested. Natural wines are fermented with native or wild yeasts that grow on the skins of grapes rather than commercially produced foreign yeasts, in keeping with the theory that the less you add to the wine, the better and more authentic it will taste. In addition, natural wines are typically unrefined and unfiltered. This may leave the wine a bit cloudy in appearance, and can contribute to the complexity of the wine's mouthfeel or texture. Finally, natural winemaking prohibits the use of added sugar or acids to adjust a wine's flavor profile or to correct a wine that was grown in less than optimal climatic conditions. Simply put, wines that are certified organic are made with grapes grown without the use of industrial pesticides, herbicides, fungicides or chemical fertilizers. They are bottled without the use of added chemical preservatives or stabilizers, such as sulfites. It's important to note, though, that sulfites are also a naturally occurring byproduct of the fermentation process, so most wines contain a minute trace of natural sulfites. There are wineries, however, that produce wines that contain zero parts per million of detectable sulfites and those can be considered sulfite-free by federal standards. Sulfites are permissible in wines that are certified organic as long as the total level is less than 10 parts per million. There's a separate category of wines made with organically grown grapes that do include the use of added sulfites in the bottling process (to ensure the wine's longevity and prolong the wine's shelf life). Such wines cannot be certified organic, but often include a disclaimer on the label that states that the grapes were grown organically. Biodynamics goes beyond the exclusion of chemical sprays and artificial preservatives seen in organic production and takes an extremely holistic and sustainable approach to growing grapes. According to Rudolf Steiner, the founding father of biodynamics, the success of a vineyard depends on the interrelationship between the soil, plants, animals and other organisms on a farm. The grapes themselves are not necessarily front and center and don't take precedence over the other components of a farm. By establishing this interdependency between the various elements on a farm, the farm becomes self-nourishing and self-contained, making foreign chemicals and artificial additives pretty much unnecessary. Biodynamic agriculture relies on the use of natural composts, mineral "preparations" and animal manure to nurture the vines, as opposed to using commercial fertilizers. Practitioners of biodynamic winemaking bury manure-filled cows' horns among the vineyards and plant the vines according to the phases of the moon, in keeping with the astronomical calendar. Pretty wild! Despite the abundance of hippie jokes and skeptical critics, biodynamic wines are actually certified by a formal agency called Demeter International and have acquired an enthusiastic cult following in recent years, particularly among young sommeliers and other forward-thinking members of the wine trade. So at the end of the day, are natural wines really worth it? Do they merit the extra effort it takes to hunt them down at specialty retailers or at avant-garde wine bars and restaurants? Yes. I say this wholeheartedly. 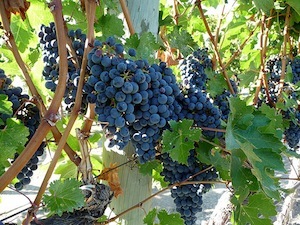 Once you've been bitten by the natural wine bug, it is extremely difficult to go back to commercially produced wines. Natural wines possess this je ne sais quoi that commercially produced wines will never have. It's a sort of added dimension that ironically results from adding close to nothing at all. Perhaps this is nature poking fun at us humans for trying to intervene and make our mark on the natural world. Now that you have a working knowledge of natural, organic and biodynamic wines, here's a brief list of natural wineries and winemakers to help you seek out these special wines. Do you drink organic or biodynamic wines? What do you think of them: well worth it or overhyped? Etty Lewensztain is the owner of Plonk Wine Merchants, an online shop focused on small-production, artisanal and altogether great cheap wine. The food- and wine-obsessed Los Angeles native cut her teeth in the wine biz running a marketing campaign to promote Chilean wine in the United States, and is certified by the esteemed Wine & Spirit Education Trust (WSET) and the American Sommelier Association. Plonk Wine Merchants specializes in hidden gems from around the globe, and every bottle in the store is priced below $30. Follow Plonk Wine Merchants on Twitter @PlonkOnline. Are Organic and Biodynamic Wines Worth It? was originally published on The Menuism Blog.